The piston is directional and must be installed in the engine block in the properdirection. 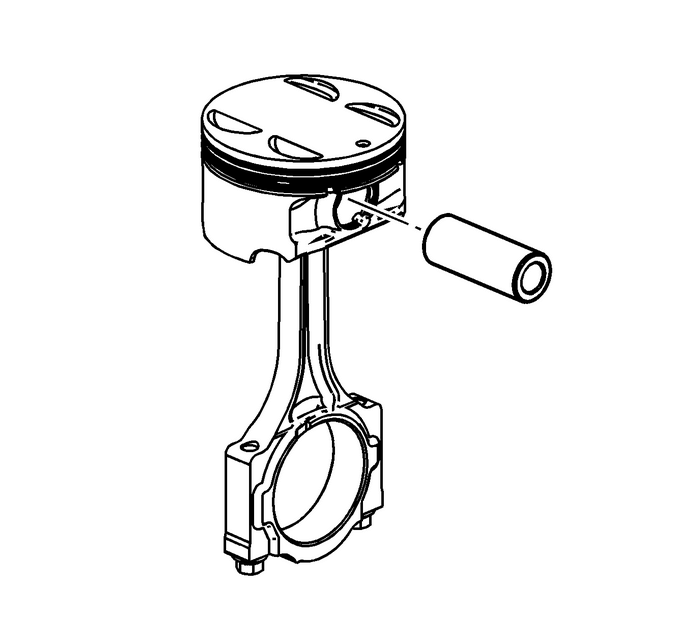 The dot on the top of the piston must face the front of the engine.The piston is model dependent and may not appear exactly as shown.Lubricate the piston pin bores in the piston and the connecting rod with GM prelubelubricant. Refer toAdhesives, Fluids, Lubricants, and Sealersfor recommended lubricant.Assemble the piston and piston pin to the connecting rod. Properly orient the pistonwhen reusing a marked connecting rod.Align the piston pin bore with the connecting rod pin bore.Slide the piston pin into the piston and the connecting rod. Note:New piston pin retainers must be used. Never reuse the piston pin retainers. Properly orient the oil control ring expander as shown before installation. The endsof the expander must be facing toward the top of the piston. Using a piston ring expander, install the oil control ring assembly using the followingprocedure:Install the expander ring-(3).Install the 2-oil scraper rings-(4). Expand the rings only enough to clear the pistondiameter. 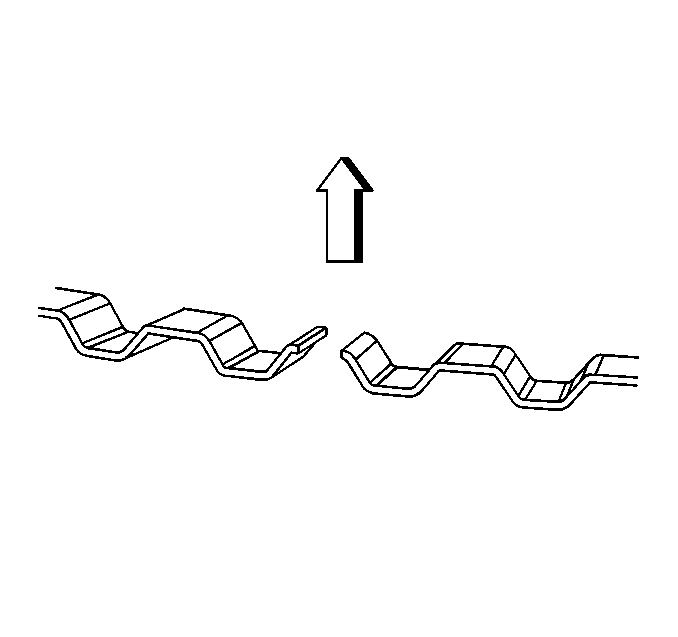 Overexpanding the piston rings will distort or crack the rings. 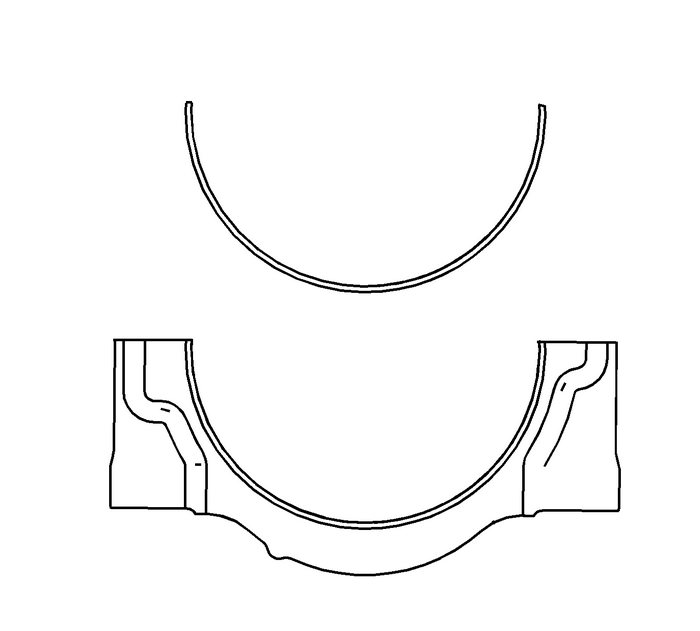 Note:The lower compression piston ring-(2) is thicker and will not fit in the upper compressionrings-(1) position. 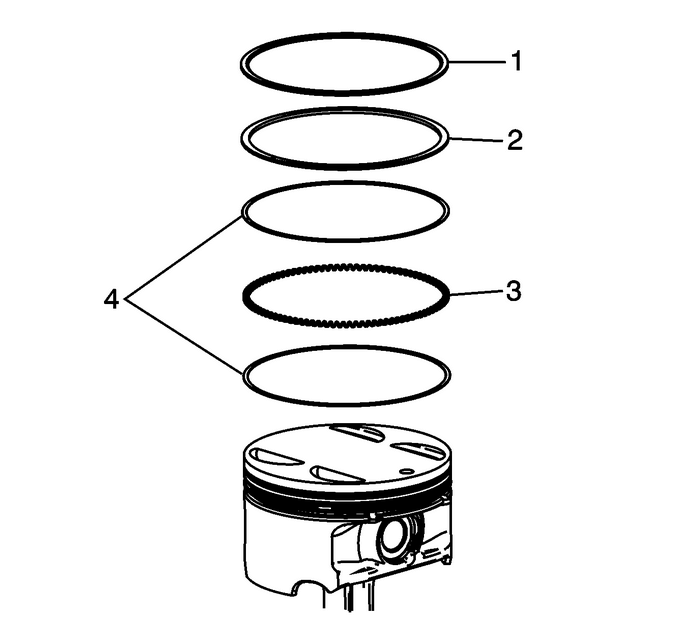 Install the lower compression piston ring -(2) onto the piston with the mark facingthe top of the piston. Note:For the LY7, the upper compression ring is symmetrical and may be installed eitherside up. For all other RPO’s, the mark on the piston ring should face the top of thepiston. 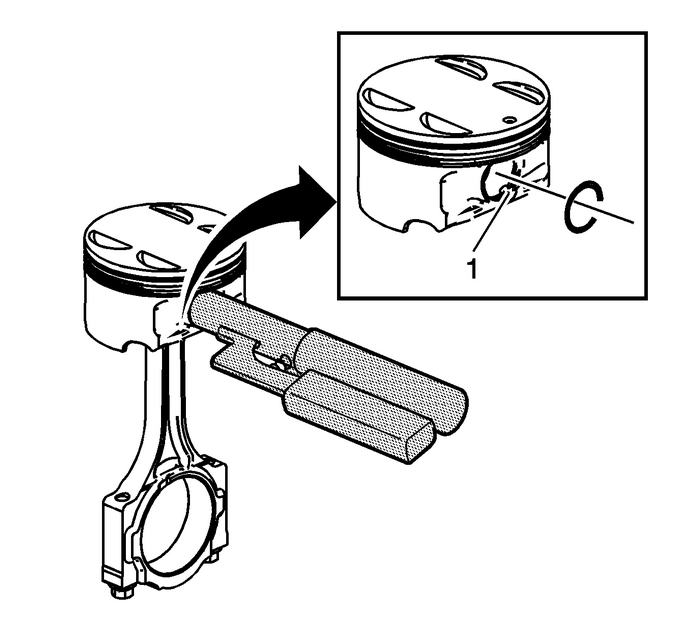 Install the upper compression piston ring -(1) onto the piston with the mark facingthe top of the piston, if required. Note:If the connecting rod bearings have been used in a running engine, you must replacethem with NEW connecting rod bearings for reassembly. 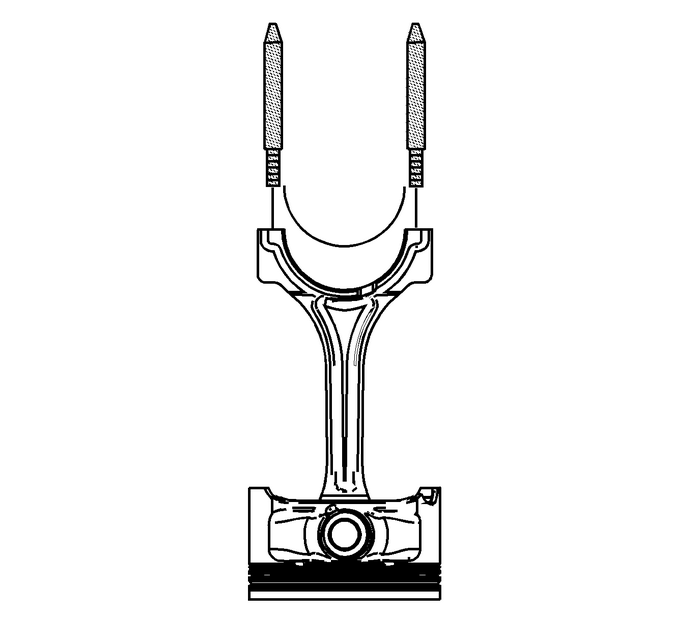 Clean the connecting rod and the connecting rod cap bearing bore with a lint-freecloth.Clean all the oil from behind the connecting rod bearing halves.Install NEW upper connecting rod bearings into position. Roll the bearing into positionso that the lock tang engages the alignment slot. 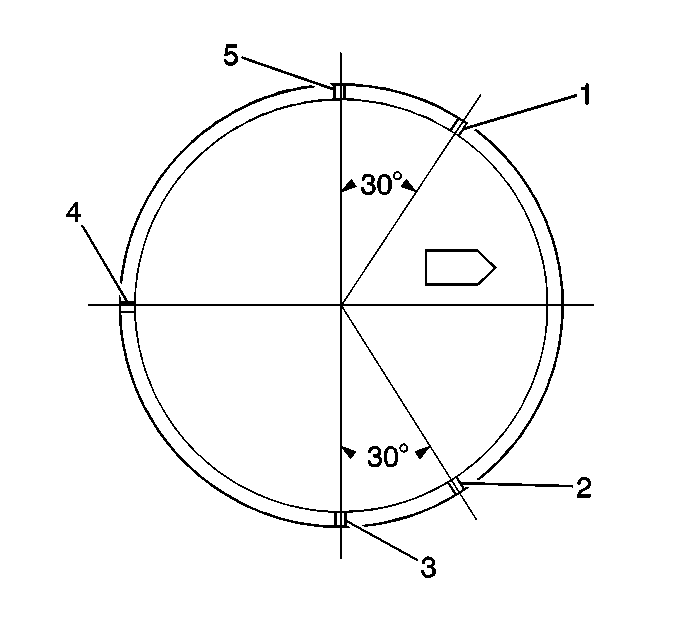 The bearing must fit flush in theconnecting rod.Install the EN-46121 set into the connecting rod bolt holes. Install NEW lower connecting rod bearings into position in the connecting rod cap.Roll the bearing into position so that the lock tang engages the alignment slot. Thebearings must fit flush with the connecting rod cap.